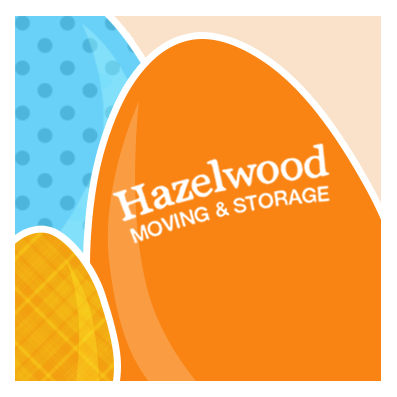 Hazelwood Allied Delivers More Than The Easter Bunny! Compare Movers: You have the choice of many moving companies in Santa Barbara to help you relocate your home or office belongings. Be sure to work with one that provides an in-home survey and written estimate so there won’t be any surprises on the day of your move. Contact the Better Business Bureau to review their directory of accredited businesses. Start Packing Early: Don’t wait until the last minute as that will just add to your stress and confusion. With summer coming, you can pack up all your winter gear and get it ready for the move. Look around your house and see what isn’t used all the time that can be safely packed in advance. Use a Labeling System: Assign a color to each room in your new location. Make sure every box or item is clearly marked with this color. That will make things a lot easier for you and your professional movers on moving day. Get Your Paperwork Done Early: Do whatever you can to let the Post Office, subscriptions, friends and family know your new address before the move. It can be hectic when you first get to a new location, so this is one less thing you will have on your mind. If you need to store any belongings on a temporary basis, McCann Mini Storage can coordinate your moving and storage needs. 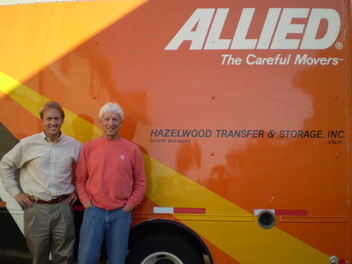 Hazelwood Allied Moving and Storage are Santa Barbara’s careful movers, owned and operated by the McCann family for over 41 years. Our impeccable track record as a professional moving company speaks for itself. We are proud that our neighbors and friends in Santa Barbara, Montecito, Hope Ranch, Goleta, Santa Ynez, Solvang, San Luis Obispo, Ojai, Ventura, Camarillo, Thousand Oaks and Los Angeles trust us to meet their residential and commercial moving and storage needs. When it comes to your move, we believe you’ll love everything Hazelwood Allied has to offer. Happy Easter from the McCann family to yours! Brilliantly practical. These moving tips from the McCann family prove to be very helpful both for residential or commercial moves. From comparing movers, packing early, using a labeling system, down to paperworks done early... all these sum up to a cost-efficient and stress-free move. Relocating alone can already be an overwhelming experience for your family, by doing all of the above, you can focus more on helping the household adjust; leaving the hardwork to your local Certified Relocation and Transition Specialist, Hazalwood Allied - the #1 Santa Barbara movers. I find labeling very useful when packing things. This lets anyone find items easily, and it's helpful when one would need to locate the object immediately. It also helps movers determine where to put things as indicated, or what items to handle with extra care as in the case of fragile items. Great tips! And the first tip should essentially be on top of the list. True, there are many moving companies in Santa Barbara and more choice means the more chances you can land with the right... or the wrong storage and moving specialist. It is not enough to browse through their websites, you should also check BBB for accreditation.